The Wireless LAN certified expert (WLAN-CEP) is the highest level, which can be reached in the WLAN-CTP program. The network engineers and administrators, who receive the WLAN-CEP certificate, show, that they are able to use and control progessively the most progessive tools and solutions on the Wireless LAN market. By successfully passing the WLAN-CAD, WLAN-CSE, WLAN-CAN and WLAN-CIN exams the participants qualify as WLAN-CEP. The passing of this exam prove that the participants possess the relevant know how in view of administration, installation, configuration, integration, troubleshooting and designing a Wireless network system. 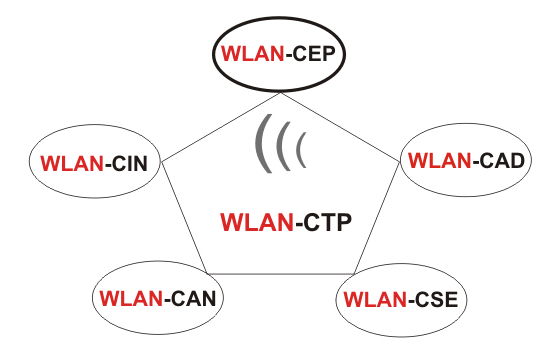 Routing, switching, packet analysis and progressive design are some areas which are very important for WLAN-CEPs. The comprehension of the background of both networking technologies, wireless and wired, are essential to master the WLAN-CEP exams successfully.